In addition to soothing the skin and healing burns, aloe works equally well for cleansing and conditioning the hair. Aloe vera shampoo made with the appropriate ingredients penetrates deeply into the scalp's pores and revitalizes healthy tissue. Then, the plant's natural amino acids work to cleanse the scalp and bring impurities to the surface, where they're rinsed away. Aloe deep-cleans the hair and scalp, and leaves the hair truly clean, shiny and smooth. If you're searching for a treatment for dry hair, look no further than the humble aloe vera plant. Aloe vera also makes a fantastic conditioner for all hair types. It keeps normal hair healthy and repairs dry, damaged hair. It works so well for this purpose because it has the ability to penetrate the hair shaft. 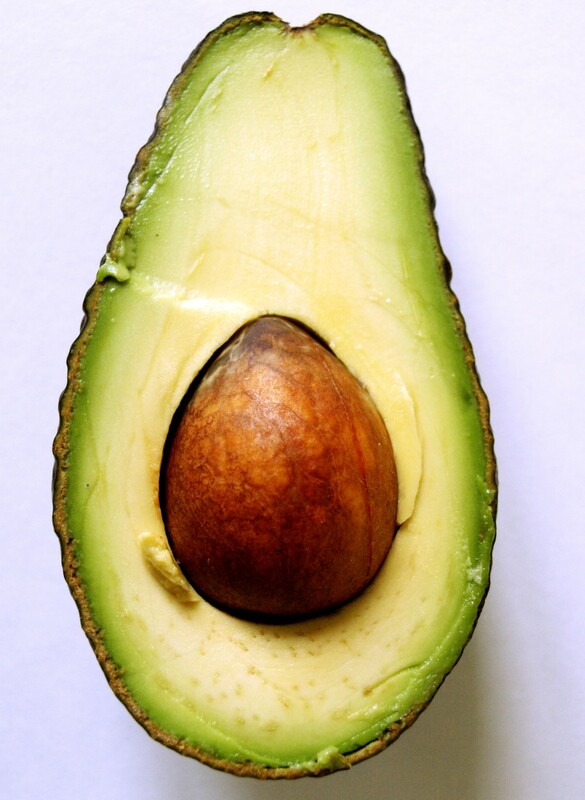 The primary protein in the hair, Keratin, is made of amino acids, carbon, oxygen and trace amounts of other elements. Aloe's chemical make-up is similar and it rejuvenates the hair by treating it with its own nutrients. This improves elasticity and prevents breaking. Aloe vera shampoo, when used regularly, also strengthens the outer layer of the hair, known as the cuticle, and gives the hair a shiny, reflective, more uniform appearance. At the same time, aloe's antiseptic properties also heal the scalp and relieve dandruff flakes. 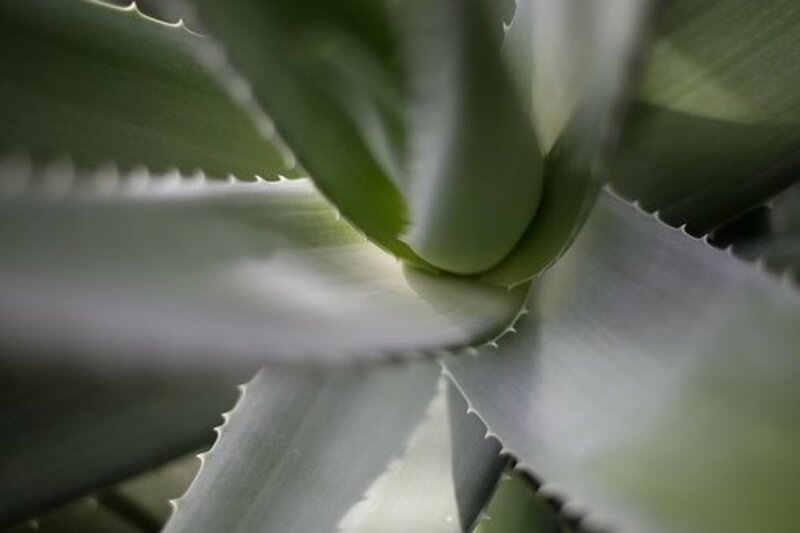 Numerous brands of shampoo exist with aloe vera listed in the ingredients, but you'll have to be choosy to find something that gives you the true benefits of the plant. I recommend making your own, so you can be sure it contains only pure, natural, soothing ingredients. If this doesn't appeal to you, check your local health food store or well-stocked drug store for a natural brand you can live with. Make sure it contains only natural ingredients. 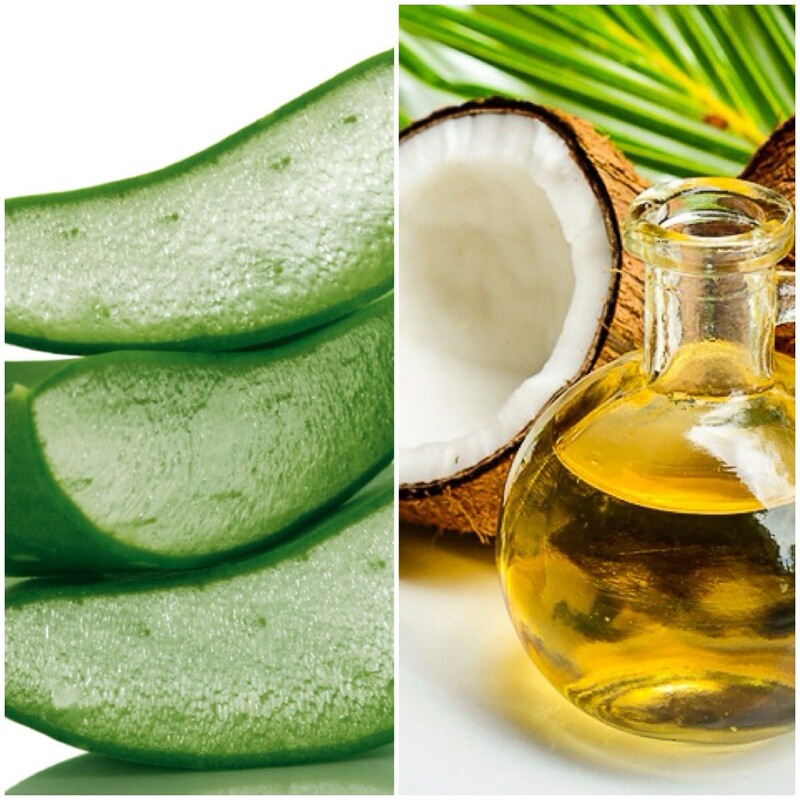 Aloe vera should be first on the ingredients list and the product should contain minimal fillers and chemicals. Jason natural cosmetics makes aloe vera shampoos that contain 84 percent pure aloe vera. Look for something similar. You can also order suitable products online, or if all else fails, use pure aloe vera gel to wash your hair. It works well, but it won't behave like your normal shampoo. It cleanses gently without producing suds. Make sure to work it in thoroughly before rinsing for the best results. If you're so inclined, making your own aloe vera shampoo yields the best results, plus its much less expensive and better for your hair to use your own homemade version. Don't think that just because a hair care product is made at home that it's ineffective. 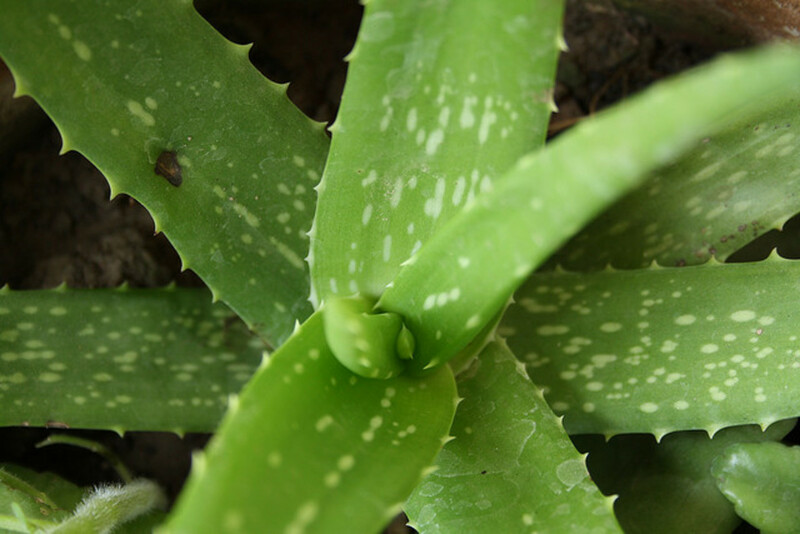 In fact, when it comes to aloe vera, the gel is most beneficial when its fresh. 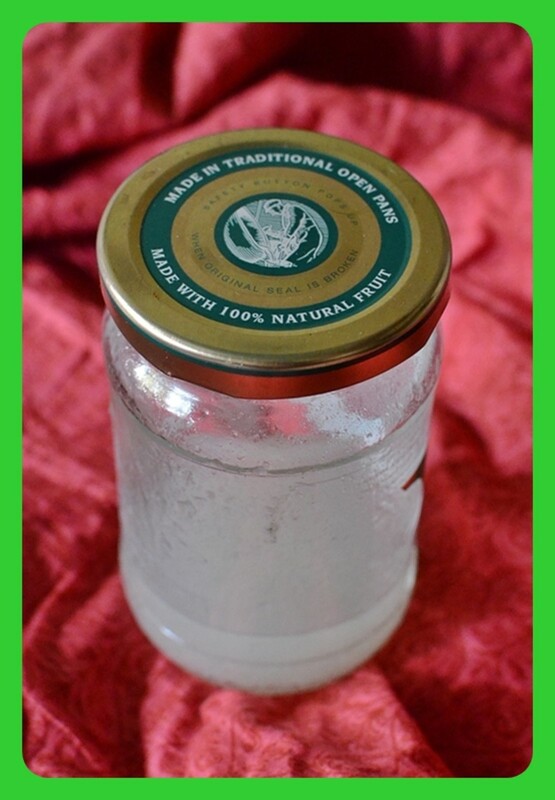 If you don't have a large aloe vera plant to harvest the gel from, you can always buy organic aloe gel at natural health stores to use in this recipe. Bring the distilled water to a boil, and then add the herbs. Cover, reduce heat to low and steep for 15 to 20 minutes. Remove from the heat, strain the spent herbs from the liquid and discard. Add the castile soap to the herbal water slowly, mixing gently as you pour. Add the aloe vera gel, jojoba and essential oils. Mix well. Pour the aloe vera shampoo into a plastic squeeze bottle. Use as needed, and shake gently before each use. If you have dry hair, shampoo no more than three times per week. Use any combination of the following herbs in the above aloe vera shampoo recipe, as long as you don't exceed around two ounces. Use any combination of the following essential oils for making aloe vera shampoo, but do not exceed around 50 drops in total. For the best results, keep a small bottle of this shampoo in the shower (enough for 1 to 2 days at a time), and store the remainder in a larger bottle in the refrigerator. If you omit the dry herbs and just use plain water instead of making an infusion, you can store the entire bottle in the shower. If you make the shampoo with the herbs as directed above, however, the mixture will go rancid if left out at room temperature for more than a couple days. In the refrigerator, the shampoo will last about 10 days. If it smells pleasant, it is still good. If it has a sour smell, toss it out and make a new batch. In addition to using aloe vera shampoo, if you have extremely dry or damaged hair, you may also want to use an aloe conditioner or simply massage aloe vera gel into your hair, allow it to remain for 30 minutes and rinse clean. Do this following a shampoo for the best results. 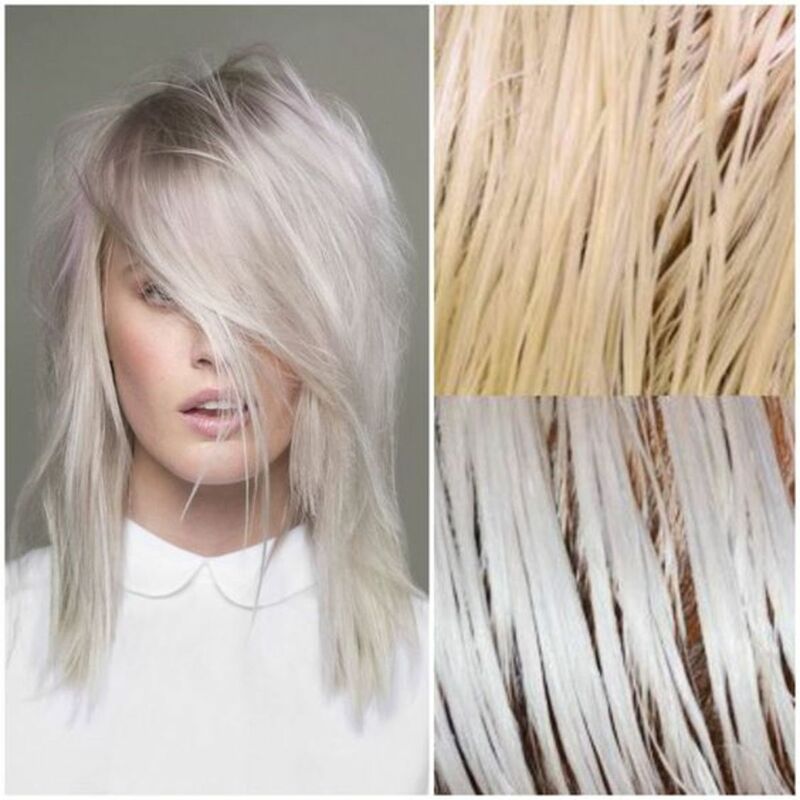 This treatment works especially well if your hair has been damaged by using chemicals. Remember, aloe's results won't last if you continue your bad hair habits. Loose the blow dryer and switch to all natural hair dye, which won't damage the hair and cause dryness. 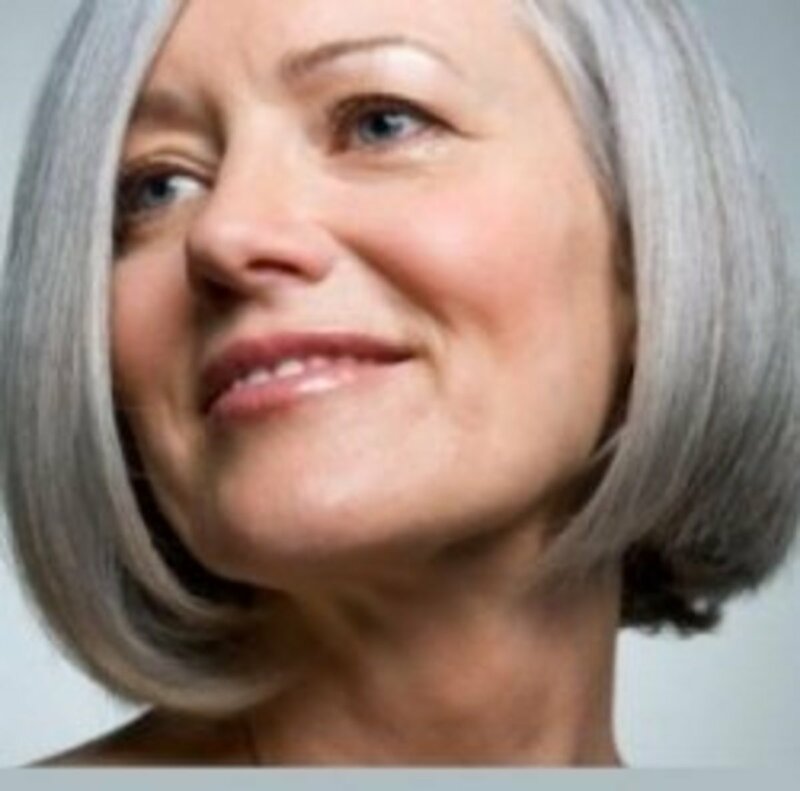 If you're already to this point, however, aloe vera shampoos and conditioners will help repair your locks and restore them to their former beauty. 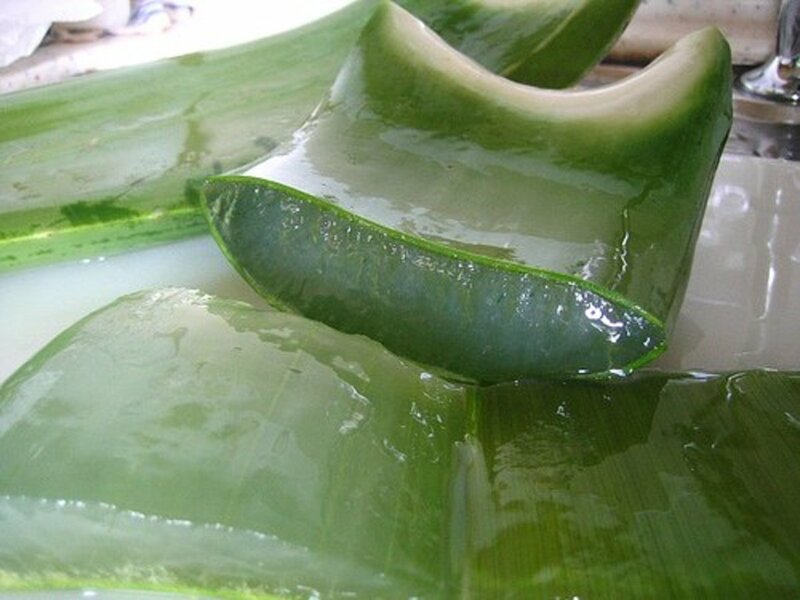 If you want to make your own aloe vera shampoos, I highly recommend harvesting the fresh gel from an aloe plant. The video below will show you step-by-step how to proceed. If this isn't possible for you, don't feel too bad - just go out and get some organic gel from your local natural foods store. It won't have as much suds as a shampoo made with sulfates, but it does produce gentle suds. Does The also Vera shampoo sudds up. Wanted to check in with you on two ounces of dried herbs. Seems like a lot, a small bag. Was that 2 or .2 oz? thank you for posting this procedure, i would like to try and share to my grand daughter the procedure. Great! So if we omit the herbs, it still works? can i do a acv rinse after using this shampoo. I just made this recipe! I followed everything exactly and I used (lemon and tea tree oils). I love the scent because of my castile soap its Dr. Bronnors hemp almond. it really cleaned my hair. almost too well. so i definitely cant do this everyday. I need to find a good conditioner. my hair is pretty damaged and felt like straw in the shower after shampooing. i used this 'mostly natural' organic conditioner. Thanks for the recipe!! Hi, I just take the gel, blend it up, without adding any water and strain it and put into a bottle in the shower. But it goes bad (fungus) in a week. Is there any way I can do a large batch and store it without putting in the refrigerator? My husband decides randomly to wash the hair and so I need it in the shower always. Thanks. Good information in this hub. Thanks for sharing. Nice post. I have aloe vera plant at home. I can try this. Wow! That smoothie sounds yummy to drink. I have to try this but I don´t think I´ll use some of the ingredients like stevia in this recipe. Thanks for sharing this healthy and informative hub. Voted and more. Thank you for this very useful hub. I am going to make my own shampoo following your suggestions. Great hub -- voted up and sharing. I have aloe vera growing in my garden and rarely use it. I may be able to make the shampoo but will have to alter some of the ingredients as I don't think they are available to me in my area. Regarding the smoothie in the video. There is no way I could drink a kale smoothie! 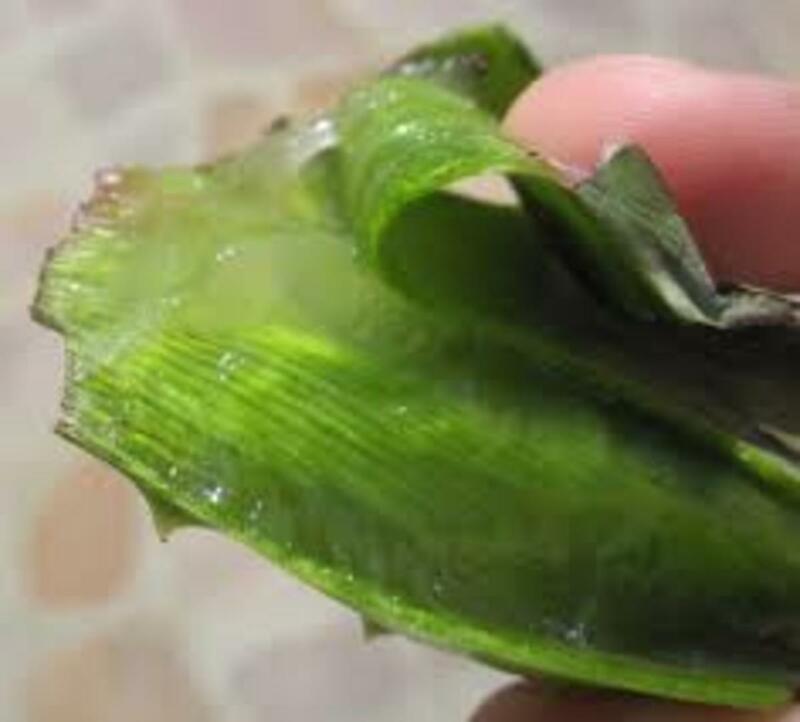 My grandmother use to use aloe vera by leaving it in a jar of water and then drinking the juice. She lived to be 92 so it didn't do her any harm. Sharing and voting up and interesting. I recently attempted the whole "no-poo" craze that's going on.. and I lasted about eight days before I couldn't take it any longer and washed my hair with real shampoo... My hair just got so greasy. 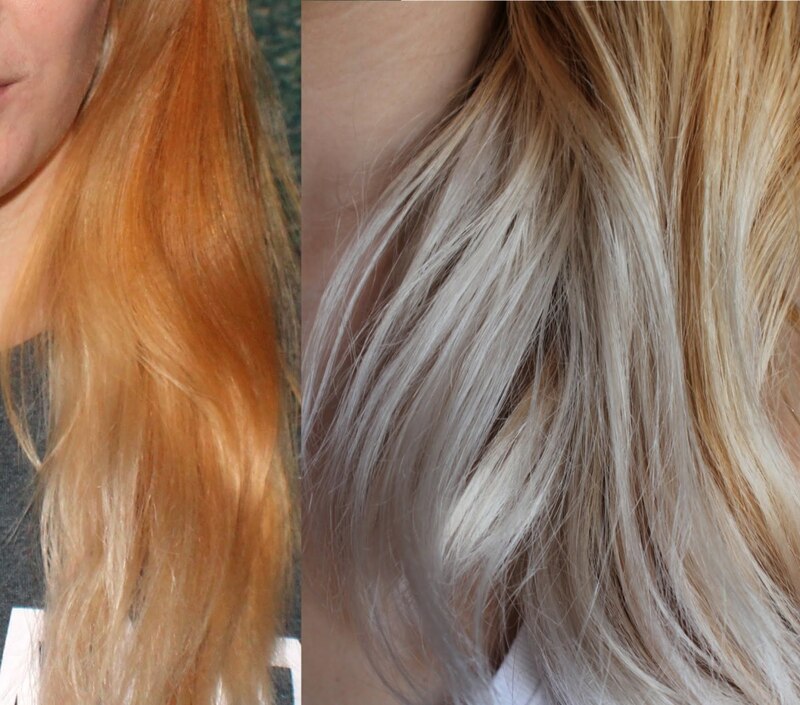 I really want to give up chemical laden shampoos. I've tried various brands of "natural"shampoo's, but I've got very long, thick hair and the amount I need to use, it's not very cost effective to only buy natural shampoos. I use aloe vera on my face every night before I go to bed. It never occurred to me that I might be able to use it in my hair. I'm definitely going to try this recipe! Thanks for the great information. I personally like to recommend the pro naturals shampoo and conditioner, made from original argan oil! This is great tutorial too! I have another option for using aloe vera, check out my tutorial on "Fresh Aloe & Apple Cider Vinegar Shampoo Bar Tutorial". @FeeFee - I have never tried a vegetable peeler, but it seems like it would work similarly. @Lily - I have used all-natural baby shampoo with no additives in place of castile soap before, and it turned out fine. You could also use a natural "shampoo base" sometimes found in craft supply stores. @sarah - I'm not sure what prated hair is (I googled it, but didn't find anything), but you can use aloe on just about any type of hair. It's completely natural and safe. @mona - I have updated the recipe above with this information. can u please tell us how long it lasts for - and whether we need to store it in a fridge after making it. This is as eco-friendly an article as I have ever read. Fantastic! Is there an alternative (natural, non-chemical) to the castile soap? Great hub, i like it!